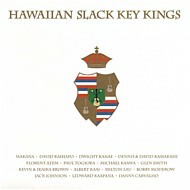 The second volume of the Hawaiian Slack Key Kings series, nominated at the 2009 Grammy Awards and voted "Best Compilation" at the 2009 Hoku Awards. 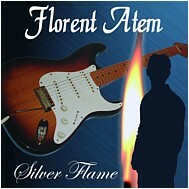 Florent Atem's demo to Michael Angelo Batio, released as a limited edition EP on the occasion of Michael Angelo's Tahiti 2008 concert, also featuring Carole & Florent ATEM. 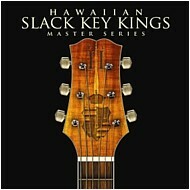 This Grammy-nominated compilation - also featuring Ledward Ka'apana and Jack Johnson - includes a song by Florent Atem. After making a name for himself both in Tahiti and Hawaii, Tahitian guitar player, singer and songwriter Florent Atem was contacted in 2003 by John Cuniberti (The Dead Kennedys, Joe Satriani) who expressed interest in working with him. 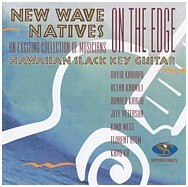 The recordings took place at The Plant Studios in Sausalito, California, with a band featuring Florent Atem, his sister Carole Atem as well as some of the world's finest musicians: drummer Jeff Campitelli (Joe Satriani) and bass players Michael Manring and Matt Bissonette (Joe Satriani, Ringo Starr, Don Henley, Brian Wilson, David Lee Roth, Christopher Cross…). 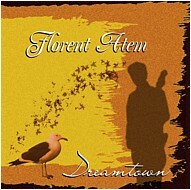 Entitled Dreamtown, the album features all original material by Florent, ranging from guitar-driven pieces to radio-friendly tunes in a pop/rock format. Now aged 22 and 25, Carole & Florent ATEM have already established a solid reputation both in Tahiti and Hawaii where they recorded four albums with Grammy-winning producer Bob St John (Prince, Extreme…), who also contributed to the making of Dreamtown. When in Hawaii, the young Tahitian duo share the stage with Hawaiian legend Henry Kapono (from Cecilio & Kapono), who views them as "the most impressive young artists". In May '05, they also had the pleasure to welcome Jeff Campitelli, Michael Manring, John Cuniberti and Bob St John in Tahiti for two highly successful shows broadcast on television in the South Pacific and even in France. A few years ago, Chicago-based guitar hero Michael Angelo Batio praised both Florent's playing and songwriting; today, John Cuniberti himself views Florent Atem as "the new Joe Satriani" - with a style of his own. This compilation features two previously unreleased songs by Florent Atem. "Born in Tahiti on November 24th, 1979, Florent Atem is one of the most exciting and respected Tahitian guitar players. Although he is mainly self-taught, his training includes a year of private lessons in his home island as well as studies at the well-known Musicians Institute (MI) in Hollywood, California, in the Guitar Institute of Technology (GIT) section. Inspired by electric guitar masters such as Eric Johnson, Joe Satriani, Steve Vai or Michael Angelo, Florent has already released four albums and enjoys composing in a wide spectrum of styles, including slack key." "Dream Valley was written during one of those blessed moments when you don't have to think about the technical aspect of music at all, almost as if every single note knew where it had to fit in the overall musical picture. It's a really strange feeling any musician should be grateful to be rewarded with. With everything falling down in the right place in an absolutely non-intellectual manner, what makes this piece so special is that feeling of easiness, some kind of natural flow, and a somewhat hazy, dream-like quality." "Sacred Ground and Dream Valley originals by Florent Atem also indicate a willingness to experiment with musical diversity yet keep tradition in the forefront. Both songs will keep your toes tapping."